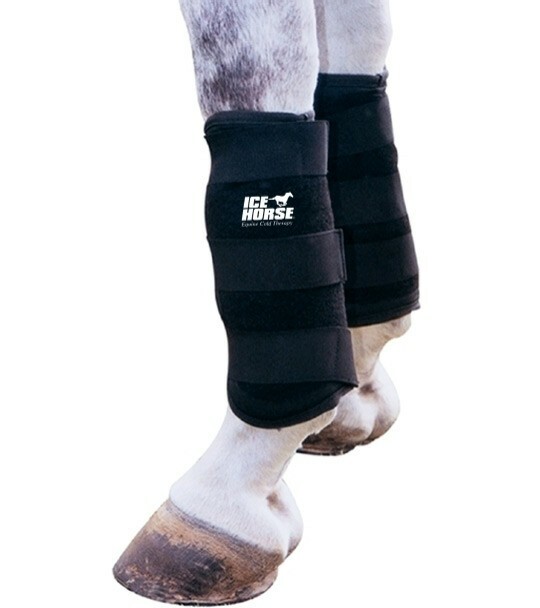 Quality insulated cannon bone/tendon leg wraps that stay cold up to two hours. Noted for their ability to configure to the cannon bone. 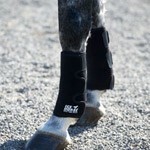 Provides compression which assists cold penetration of inflamed soft tissue. Re-usable after three hours in the freezer. Patented Propylene Glycol formula, food grade for quality assurance and non-toxic properties. Sold as a pair. Four cold inserts included, two for each wrap.